Happy Pancake Day everyone! If you're anything like us, you're always out to make the most of every food-based holiday, which is why we thought it would be a good idea to share some delicious pancake (or pancake themed) recipes with you today! 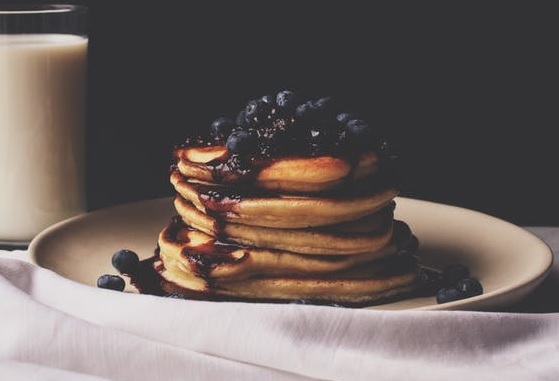 Now, the traditional pancake day fare is certainly up for debate in the UK, especially with the rise of American inspired brunch spots, which serve up delicious platefuls of buttermilk pancakes. Regardless of this, there are many who still enjoy a plateful of traditional Shrove pancakes with lemon and sugar (or maybe even some Nutella), leaving us conflicted over what to make! Luckily we've decided to avoid the obvious with our chosen pancake recipes today, in order to share a few more unusual recipes to try out this evening! With everything from scrumptious, savoury pancakes, to french toast bakes to choose from, you're sure to find a new and delicious idea to inspire your pancake creation! Check out our list of delicious yet slightly unconventional pancake recipes to try out today!